The premise of this week is simple: I’ll show you how to make four small cuddle quilts out of a single roll of 2.5″ strips and a yard of cuddle fabric or fleece. The final quilts measure 18″×24″, so these are meant for comfort more than sleeping under. Today, we’re finishing the quilts. If you’re just joining in, you may want to hop over to all posts tagged 1+1=4 or start from the beginning of the series. Now that we have all four quilt tops, we can turn them into quilts. The first step is to prepare the backing. The fabric requirements allow you to cut three full-sized backs, leaving one that must be pieced from two pieces. 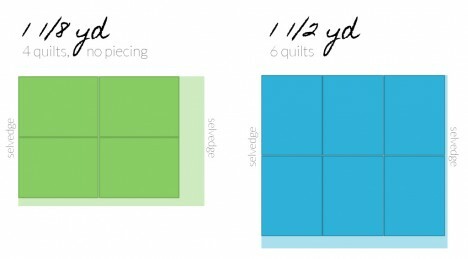 There is a small amount of leeway, so if you’re uncomfortable trying to sew a ¼″ seam on Minky or Fleece or find yours curling, you can add an extra half inch to the measurements, then center your quilt top so that you have a graded seam allowance. 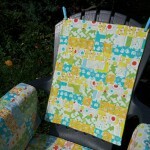 Cut your 18.5″×24.5″ backs from the fabric. Cut two additional 9.75″×24.5″ rectangles. Sew these two small pieces together along one long side using a ½″ seam allowance to give you a fourth back. Next, place each top and a back right sides together. Pin all the way around. Pin even closer than I did in the photo (try every 1″) if using Minky, as it stretches horribly. The fleece I had was mostly stable. If you want to use batting cut an 18.5″×24.5″ piece for each quilt. Add it to your above sandwich with the right side facing the wrong side of the top. In other words, lay your batting down, right-side up. Lay your top over it, right-side up. Then, place your backing on top, right-side down and pin. Using your walking foot if you have one (for best results) or a basic foot (not your ¼″ piecing foot as it typically only moves your fabric over one feed dog), sew around the edge using a ¼″ seam allowance (or ½″ from the edge of the backing if you cut a larger backing), leaving at least 3″ open on one side to turn. Turn your quilt out through the opening, and use a chopstick or point turner to get the corners pushed out as well as you can. Turn your iron down to the synthetic setting and carefully press the edges flat from the top side (it’s not good to iron Minky or Fleece). Make sure to fold in the edges of the open section. Top-stitch around the outside, 1⁄8″ in from the edge, making sure your stitches close the open section. Almost done! Now, you have to decide on how you want to quilt these. 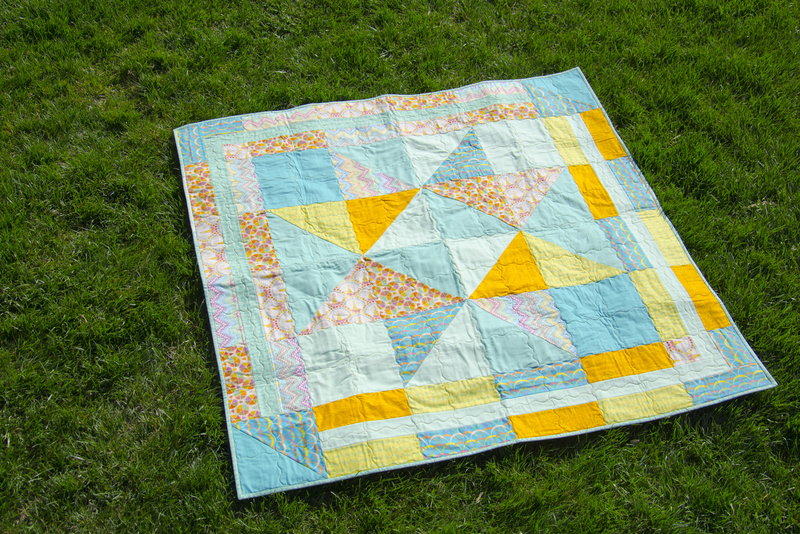 I recommend some sort of straight-line quilting, as sparse as possible with your chosen batting (or about every 6″ if you didn’t use batting). You don’t want to get too dense or intricate with the quilting, as you don’t want to shrink the layers, or take away from the fluffiness of the Minky or fleece. Top One: I zig-zagged down three of the seam lines. Top Two: I stitched in the ditch for some of the block seams. Top Three: I stitched in the ditch every three rows, both horizontally and vertically. 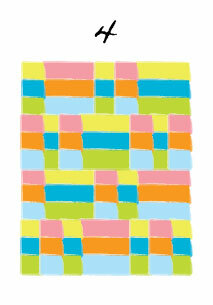 Top Four: I stitched diagonal lines one-way through the blocks. 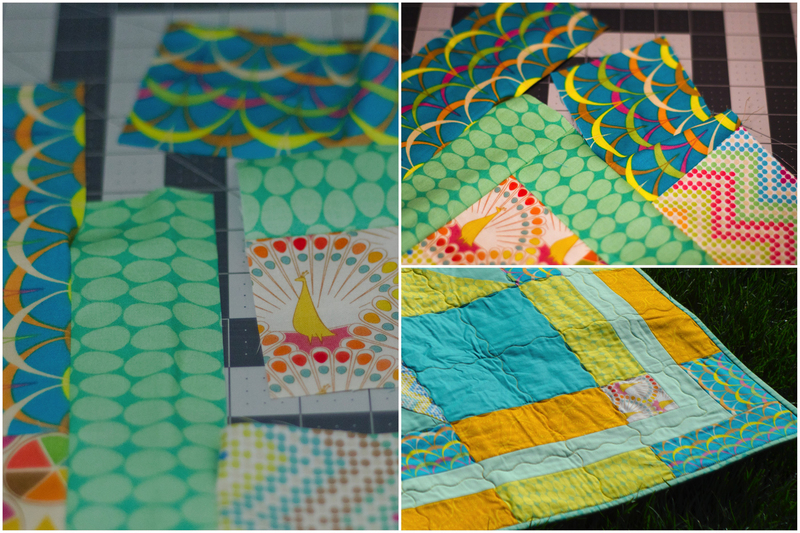 Once you finish quilting, you’re done! If you’re donating the quilts, all that is left is to wash them and put them into gallon storage bags for delivery and distribution. 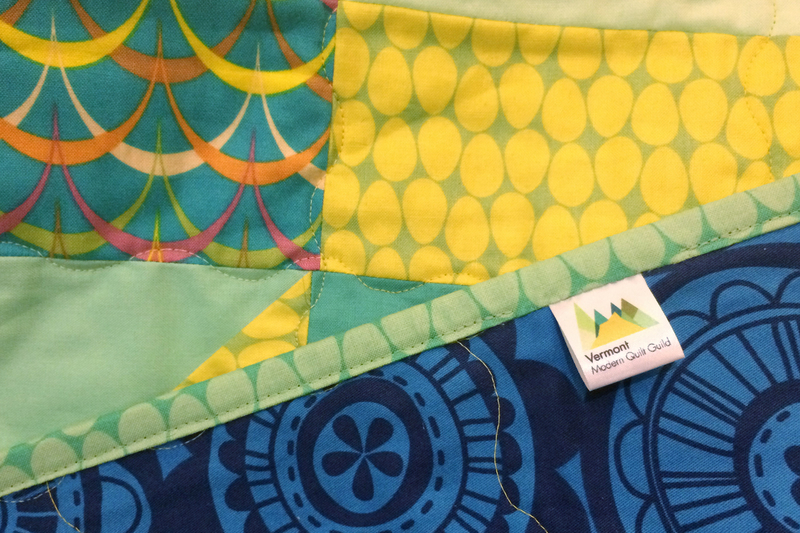 If you’ve followed along and made your own cuddle quilts, share a link to photos or a blog post in the comments. I’d love to see what you made! 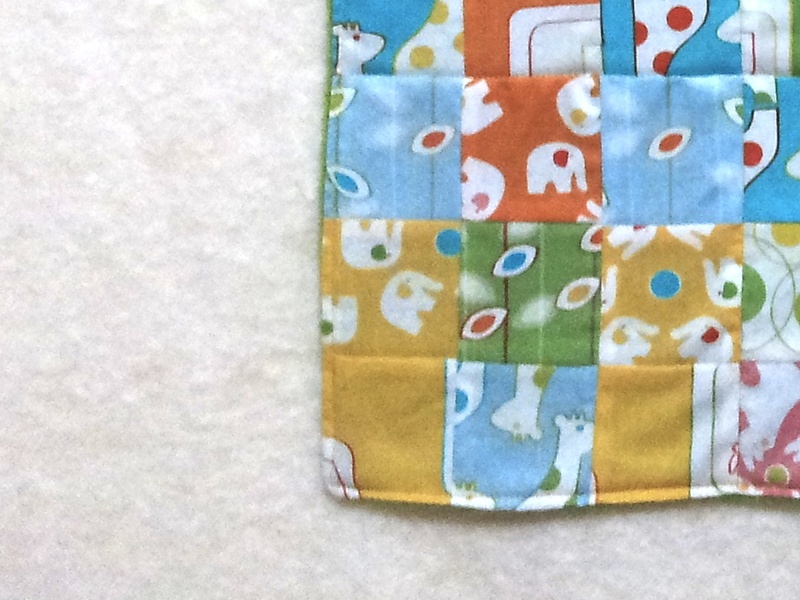 This post is part of a series on making small cuddle quilts for charity. My finished quilts will be donations to the 2012/13 service project being sponsored by the Quilter’s Consortium of New York State. If you’re in a NY quilt guild that is a member of QCNYS, contact your consortium rep to learn how to donate (and tell your guild or club about this series!). If you are not a member of a participating guild, but would still like to donate send me an email and we can figure out how to get the quilts to the right place. 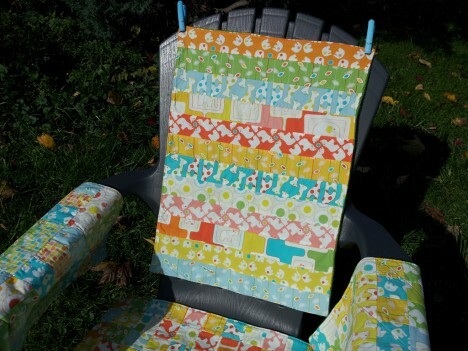 The premise of this week is simple: I’ll show you how to make four small cuddle quilts out of a single roll of 2.5″ strips and a yard of cuddle fabric or fleece. The final quilts measure 18″×24″, so these are meant for comfort more than sleeping under. Today, we’re taking a short break from sewing to talk about options. If you’re just joining in, you may want to hop over to all posts tagged 1+1=4 or start from the beginning of the series. We now have all four tops complete for the basic 1+1=4 construction. I’d like to take a short break to talk about alternative options. 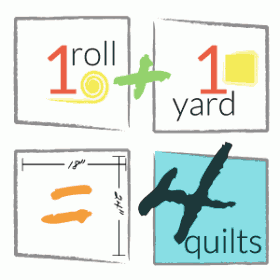 First off is making additional quilts: I mentioned in the materials post that you can make two additional quilts if you have a full Moda Jelly Roll. 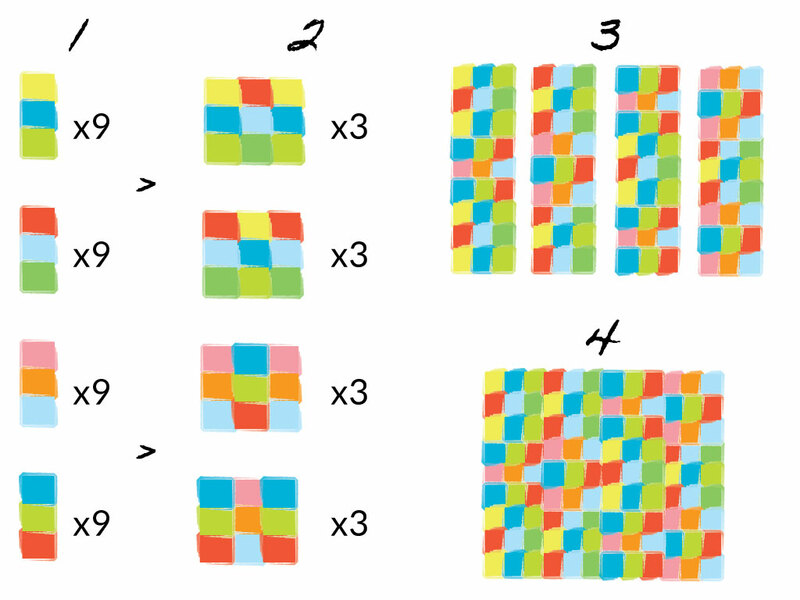 If you’d like to do that, you can make additional versions of any combination, with one exception: you can only make a second Top Three using the leftovers from Top One—so you can make that pair, but otherwise can’t make Top Three. 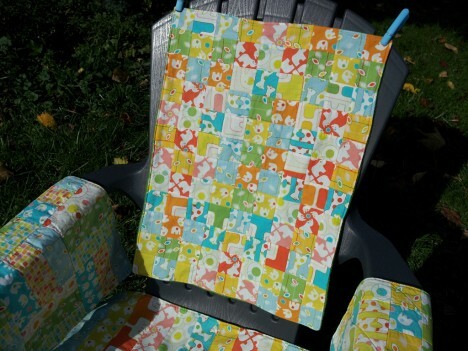 Another option is that you can also make two versions of a top, then sew them together along the 24″ side to make a single 24″×36″ top for the charity drive. 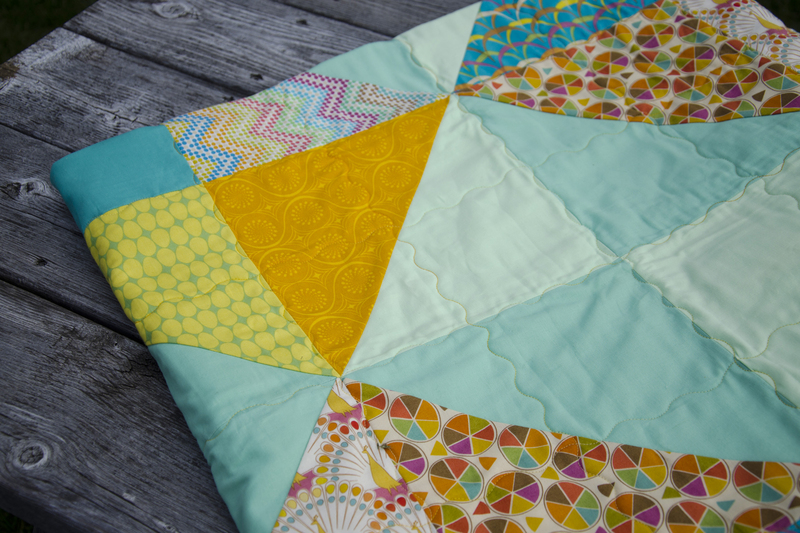 You can mix and match, or even cut the pieces and piece as one quilt. But, what if you don’t want to make cuddle quilts? After all, 18″×24″ is a pretty small size for a quilt. 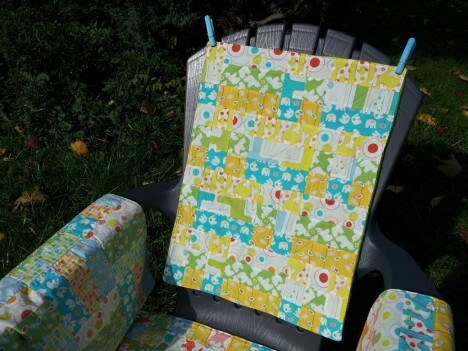 One of them might make a great portable baby changing pad if you use terry cloth and a lining of medical sheeting (a waterproof flannel-sandwiched rubber) as the backing instead of cuddle fabric or flannel. Or, consider using chenille fabric as the backing—not only is it cuddly, I’ve heard it works great as a burp cloth, allowing your cuddly baby quilt to double as an oversized, very useful cloth if needed. Can you think of other uses for something this size? 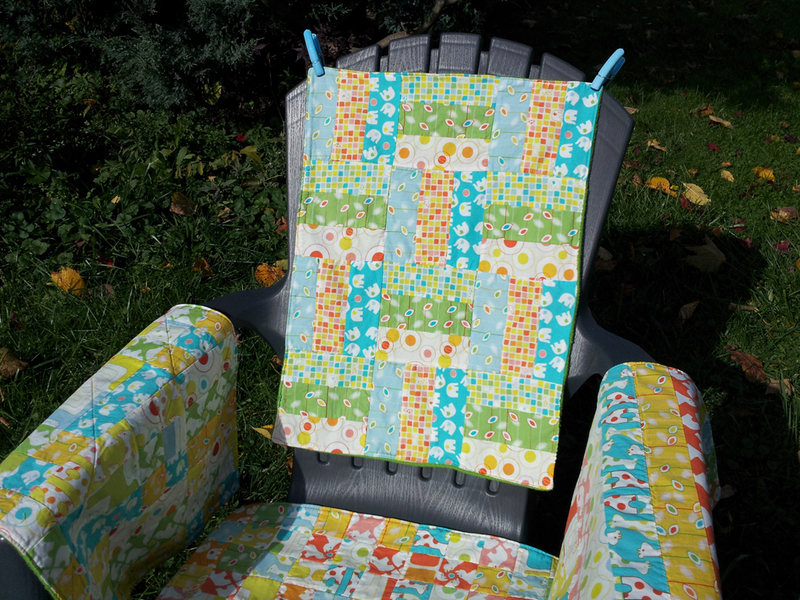 The premise of this week is simple: I’ll show you how to make four small cuddle quilts out of a single roll of 2.5″ strips and a yard of cuddle fabric or fleece. The final quilts measure 18″×24″, so these are meant for comfort more than sleeping under. Today, we’re making the final quilt top. If you’re just joining in, you may want to hop over to all posts tagged 1+1=4 or start from the beginning of the series. This final top is something I call “Peculiar Weave”. 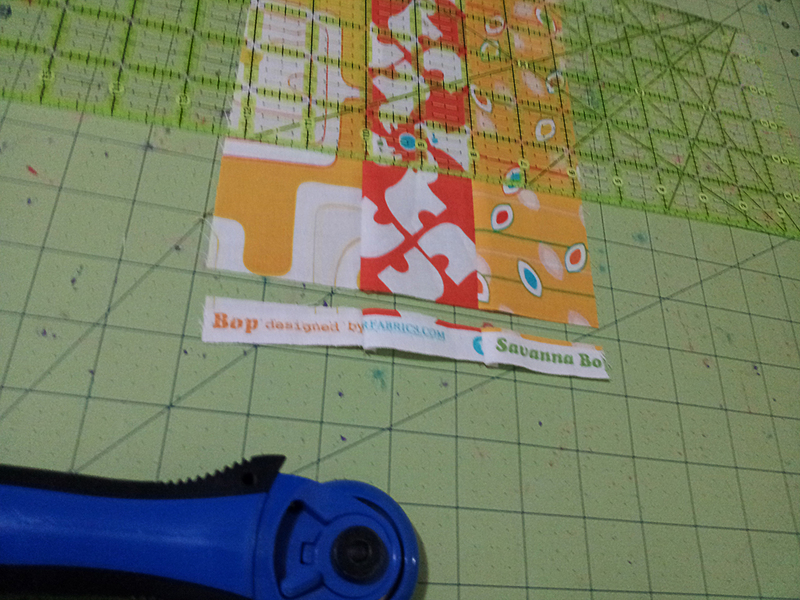 Be very careful when cutting, as this top needs every millimeter of a 42″ strip. If your strips are less than 42″ long without selvage, you will need to make a second Top One or Top Two. Cut each of the two remaining strip sets (A and B) into three 6.5″ segments (A6/B6) and nine 2.5″ segments. 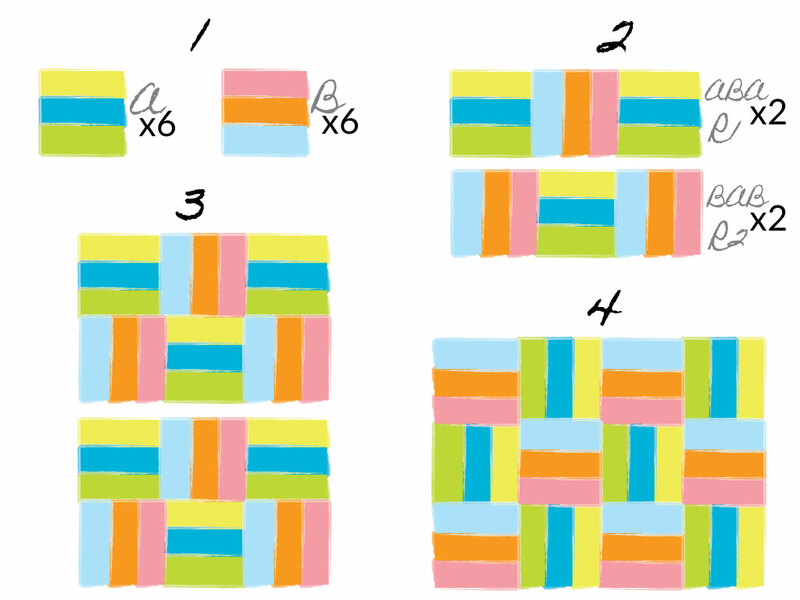 Use six of the smaller segments from each to create nine-patches: two each, ABA (A3) and BAB (B3). 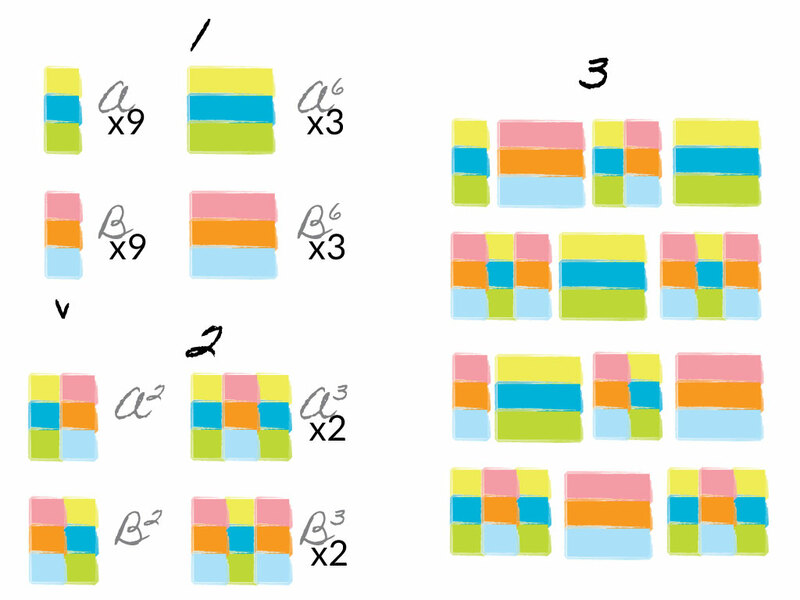 Use two more small segments from each to make an AB (A2) pair and a BA (B2) pair. Sew the four rows together in the above order. You’ll then have an 18.5″×24.5″ unfinished top. Almost done! Stick around, and I’ll show you how to sew them into simple quilts. 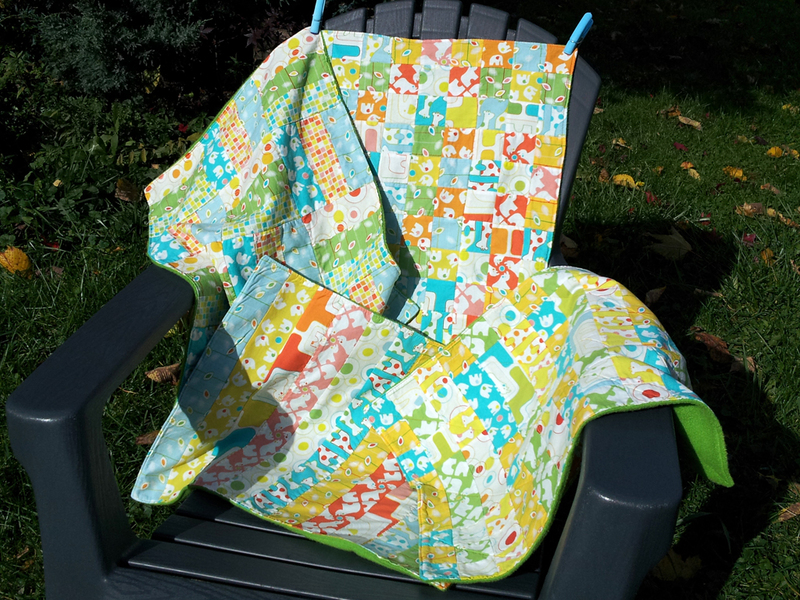 The premise of this week is simple: I’ll show you how to make four small cuddle quilts out of a single roll of 2.5″ strips and a yard of cuddle fabric or fleece. The final quilts measure 18″×24″, so these are meant for comfort more than sleeping under. Today, we’re making the third quilt top. If you’re just joining in, you may want to hop over to all posts tagged 1+1=4 or start from the beginning of the series. This top is made up of nine-patch blocks. 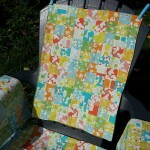 The strip-piecing will allow us to piece these much faster than having to sew together individual squares. Take the four strip sets leftover from Top One, and slice them into 2.5″ sections. 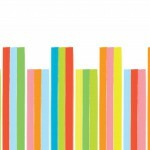 You will have nine 2.5″×6.5″ pieces from each strip set. 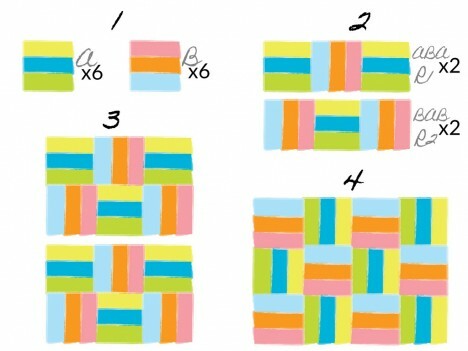 For a very scrappy quilt, sew these rectangles into four rows of nine pieces, then sew the rows together to complete the top. 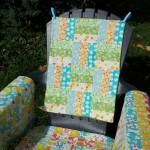 For a slightly less scrappy look, create nine-patches with matching strips on either side of a different, center strip. 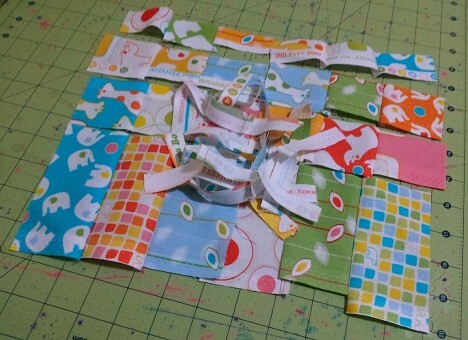 Piece the nine-patches into four rows of three blocks, then sew the rows together. You’ll then have an 18.5″×24.5″ unfinished top. If you started with 18 strips, you’ve now completed all of the tops. 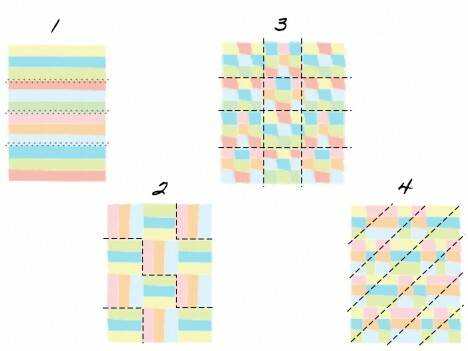 If you have 18 strips but would rather make Top Four instead of Top Three, see alternate cutting method for Top One. Tomorrow, we’ll piece our final quilt top! The premise of this week is simple: I’ll show you how to make four small cuddle quilts out of a single roll of 2.5″ strips and a yard of cuddle fabric or fleece. 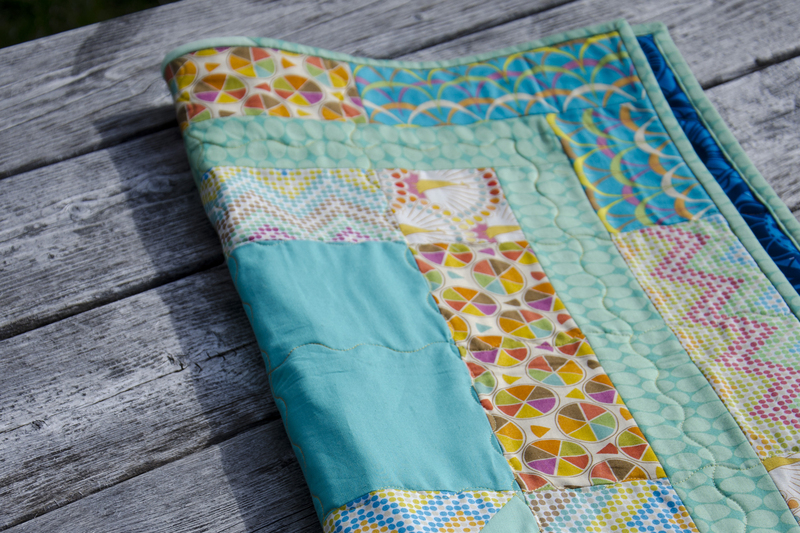 The final quilts measure 18″×24″, so these are meant for comfort more than sleeping under. Today, we’re making the second quilt top. If you’re just joining in, you may want to hop over to all posts tagged 1+1=4 or start from the beginning of the series. This top is made up of rail-fence blocks, which are simple to make (in fact, you’ve already made them—you just need to cut them apart). Choose two of your strip sets. It doesn’t matter if they are light- or dark-dominant, as you’ll be rotating the pieces around. If you organized your sets into groups, this is group two. 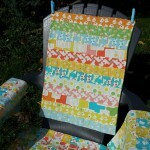 Cut six 6.5″ squares from each strip set. Calling one set of blocks A and the other B, piece the squares into four rows: two ABA (called R1) and two BAB (called R2). A blocks should have the inner seams horizontal, and the B block seams should be vertical. Press the seams open, or toward the B blocks. Piece the rows together: R1, R2, R1, R2. Press the seams open, or all in one direction. You’ll then have an 18.5″×24.5″ unfinished top. Half-way there! Tomorrow, we’re on to top three. The premise of this week is simple: I’ll show you how to make four small cuddle quilts out of a single roll of 2.5″ strips and a yard of cuddle fabric or fleece. The final quilts measure 18″×24″, so these are meant for comfort more than sleeping under. Today, we’re making the first quilt top. If you’re just joining in, you may want to hop over to all posts tagged 1+1=4 or start from the beginning of the series. This is the simplest top of the four. In fact, you’re only going to have to sew three more seams! Choose four of your strip sets. 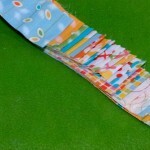 If you’re going scrappy, make sure that no strips that read the same will be sewn together. If you’re coordinating, you’ll need two dark- and two light-dominant strips. If you separated your sets into groups, this is group one. Cut a rectangle 18.5″ long off of each strip set. Set the excess aside—you’ll be using it for another top. 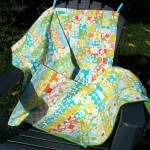 Sew all four rectangles together to create a 18.5″×24.5″ top. Alternate light- and dark-dominant sets if you are coordinating. Alternate cutting instructions: if you choose not to make top three, you can create this top out of only two strip sets, allowing you to use the other two for a second version of top two or four. To make the top using only two strip sets, cut two 18.5″ sections off of each of the two strips, and sew them all together. If you would prefer to make two versions of top one, you can use the alternate cutting instructions above, or cut a second set of rectangles from the four strip sets. Tomorrow, we’re on to top two! 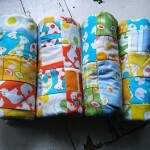 The premise of this week is simple: I’ll show you how to make four small cuddle quilts out of a single roll of 2.5″ strips and a yard of cuddle fabric or fleece. The final quilts measure 18″×24″, so these are meant for comfort more than sleeping under. Today, we’ll start piecing. If you’re just joining in, you may want to hop over to all posts tagged 1+1=4 or start from the beginning of the series. 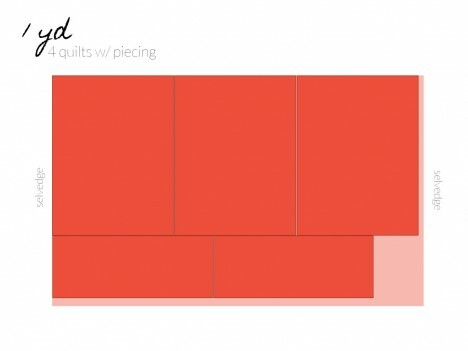 All four quilt tops are easily constructed by strip-piecing. If you’re unfamiliar with it, strip piecing speeds up the proces of piecing blocks by allowing you to sew larger strips together, and then cut chunks off the pieced rectangles, giving you larger building blocks with which to create your individual blocks (this surely beats sewing tons of 2.5″ squares together, if you ask me). So, today: sew eight strip sets of three strips each. For those of you who are fine with scrappy and arbitrary: just divide your strips into sets of three, caring only to make sure that no strip “reads” the same as one touching it (most generally, that means don’t sew a strip of one color to another of the same color, but you can also keep individual prints separate, etc). If you want a little more structure, you can coordinate your strip sets to some degree. 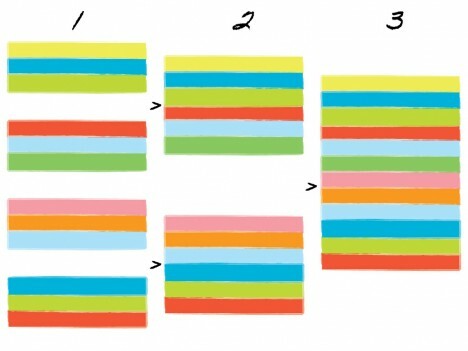 The easiest way to do this is to divide your strips in half by grouping them in lights and darks, then creating two strip set types: one type with two dark strips sandwiching a light strip in the middle (dark-dominant), and one type with two light strips sandwiching a dark strip in the middle (light-dominant). In my examples, my “lights” are actually the multi-directional animal prints, and the “darks” are all the other prints. 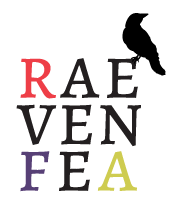 Be creative, and see what happens! 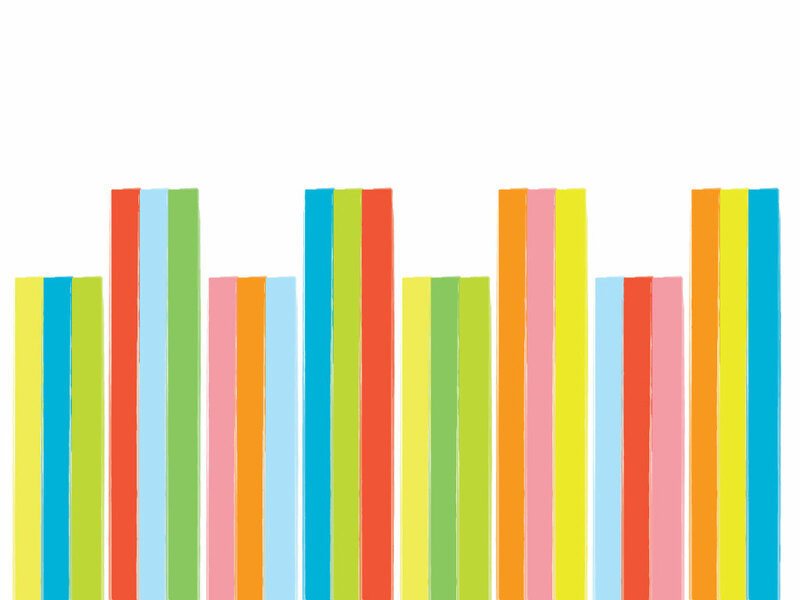 If you want to go even further—perhaps separating out color ways—you can create your strip sets in the groups that comprise each top. 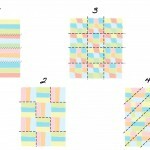 Group one*: four coordinating strip sets—two light-dominant and two dark-dominant—that will make Top One & Top Three. Group two: two coordinating strip sets that will make Top Two. There’s no need for particular attention to value dominance. Group three: two coordinating strip sets—a light– and dark-dominant—that will make Top Four. * I will give alternate instructions in case someone wants to make multiple copies of a top instead of one of the others, which requires altering the cutting instructions. In that case, you don’t need four coordinating strip sets and can make four groups of two sets instead. Finally, trim the selvages off of one side of each strip set. Be extremely judicious—you will need as much of your fabric as possible, so cut as close to the edge of the selvage as you can. Leave the other selvages on for now. Tomorrow, we’ll piece top one! 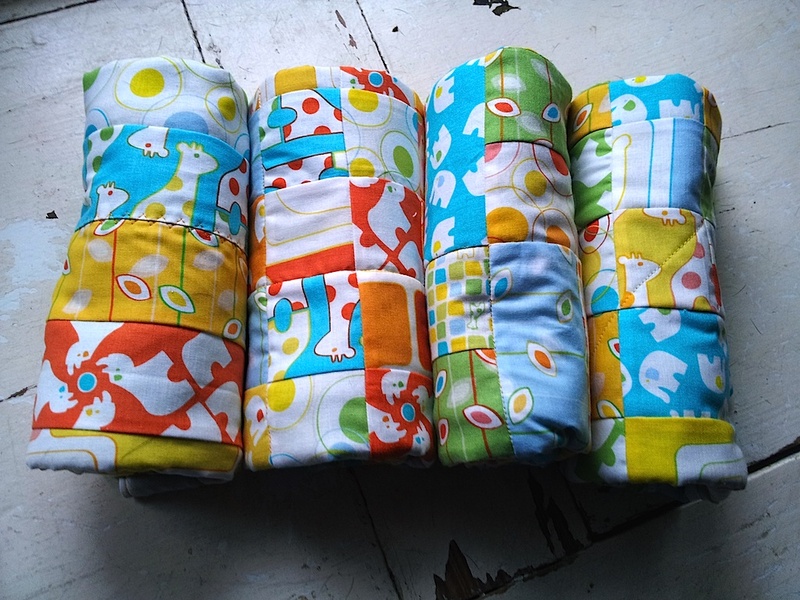 The premise of this week is simple: I’ll show you how to make four small cuddle quilts out of a single roll of 2.5″ strips and a yard of cuddle fabric or fleece. 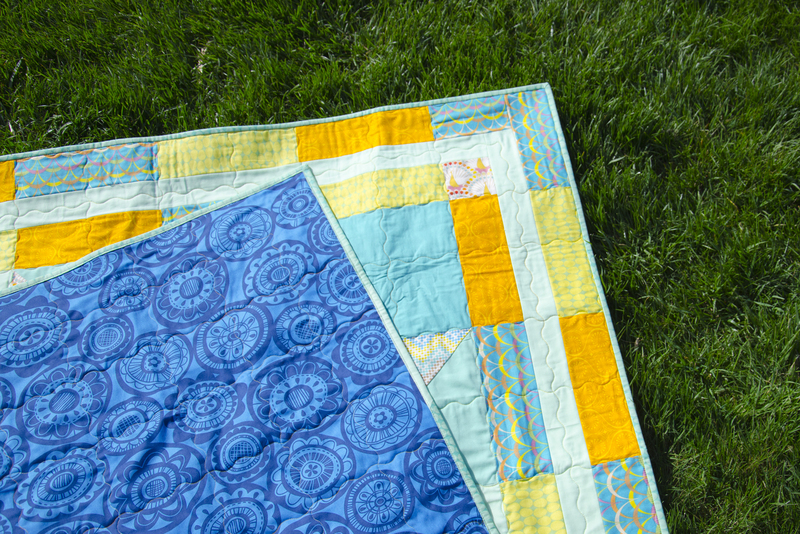 The final quilts measure 18″×24″, so these are meant for comfort more than sleeping under. Today, we’ll cover what you need. 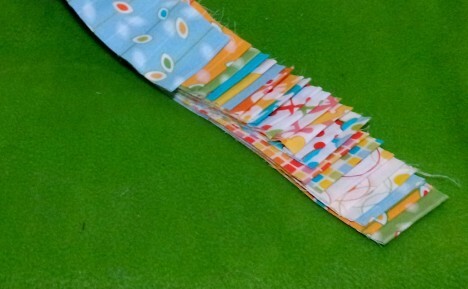 24 2.5″×WOF strips, also known as Jelly Roll strips. The simple way to get these is to buy a fabric roll. Not all rolls are the same. 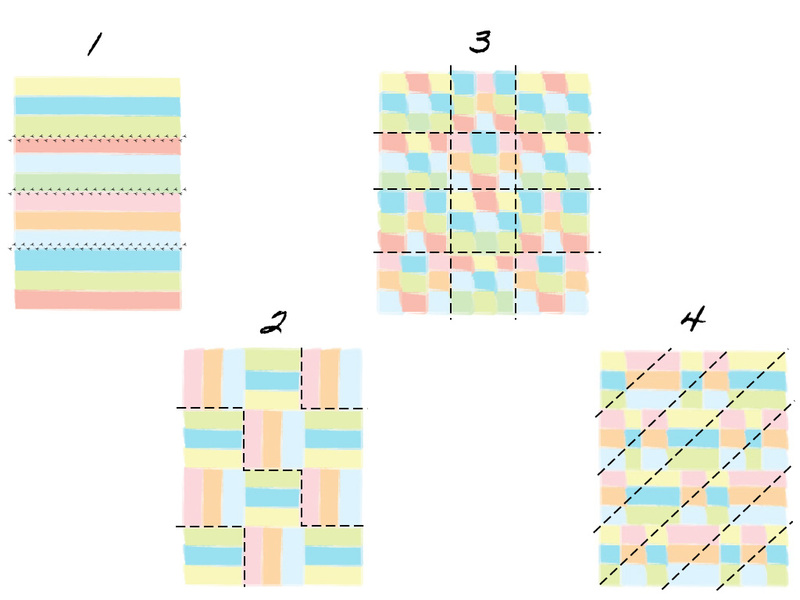 If you have a roll with fewer than 24 strips, you can make three quilts using 18 strips. If you have a full Jelly Roll by Moda (or any other roll with 40 strips), you can make six quilts, but you’ll need additional backing fabric. You don’t have to buy a pre-cut roll to make these quilts: you can cut your own strips out of stashed yardage, which is what I did. My examples will show the quilts being made from Thomas Knauer’s line “Savannah Bop”, which is an Andover fabric line, and Andover does not have precuts for sale. Most fleeces and Minky-type fabrics are 58/60″ wide—you will need this extra width, so make sure your fabric isn’t 44″ wide like standard quilting cotton. To make the six quilts out of a Moda roll, you will need 1.5yds of backing fabric. Creating all four backs with one yard requires piecing one of the backs—just a simple seam up the middle, nothing fancy. 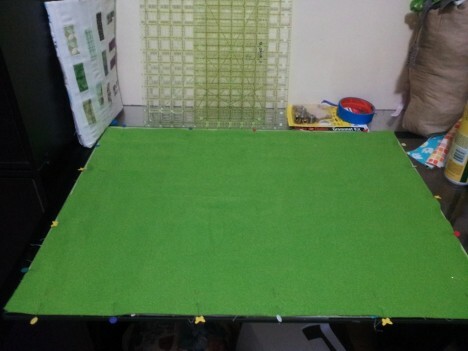 If you do not want to piece the backing, you will need 1 1⁄8 yards. Optional: 1 yard of batting, or whatever other amount/scraps that will allow you to cut four 18.5″×24.5″ rectangles (or six, if making quilts from a full Moda Jelly Roll). You do not need to use batting with these—particularly with fleece backing. But, if you want to, I will give instructions for using it. So that’s it: gather your supplies and check back tomorrow, when we’ll start sewing! Starting tomorrow, I’ll be posting every day for a week, showing you how to build four simple quilts out of a yard of cuddle fabric/fleece and a roll of 2.5″ strips. Want a sneak peek (it should be Foto Freitag, afterall)? My finished quilts will be donations to the 2012/13 service project being sponsored by the Quilter’s Consortium of New York State. If you’re in a NY quilt guild that is a member of QCNYS, contact your consortium rep to learn how to donate. If you are not a member of a participating guild, but would still like to donate send me an email and we can figure out how to get the quilts to the right place.